This entry was posted in Environment, Local politics and tagged Christine's Critters, ospreys, Terrain. Bookmark the permalink. Talk about turning PR disaster into tour de force – our friends at Terrain seem to be writing a new chapter in the book! How wonderful. I will try to make it. Wouldn’t it be great if the utility company moved that pole and platform over to Terrain’s property so Regency will never again be able to remove the platform!! Regency Centers owns only a small part of Terrain’s property (less than 25%) and does not serve as Terrain’s property manager. Terrain is its own property manager, and decision maker onsite, owning all of its property other than a very small portion where the very back of the garden nursery has recently been expanded. Maybe this sounds like a crazy idea, but I think that as part of their renovation, Regency should be asked to install an osprey cam. I know Cornell Ornithology does this all the time and many birders have them up on their properties. These cameras are totally nonintrusive and the birds don’t even know the camera is there.This would also help promote education and awareness. Such a beautiful idea, I wouldn’t be surprised if Regency itself discussing an Osprey Cam. I hope they do that for WSPT’s Ospreys. Not a crazy idea!!! In fact terrain has had several calls recently suggesting the same. 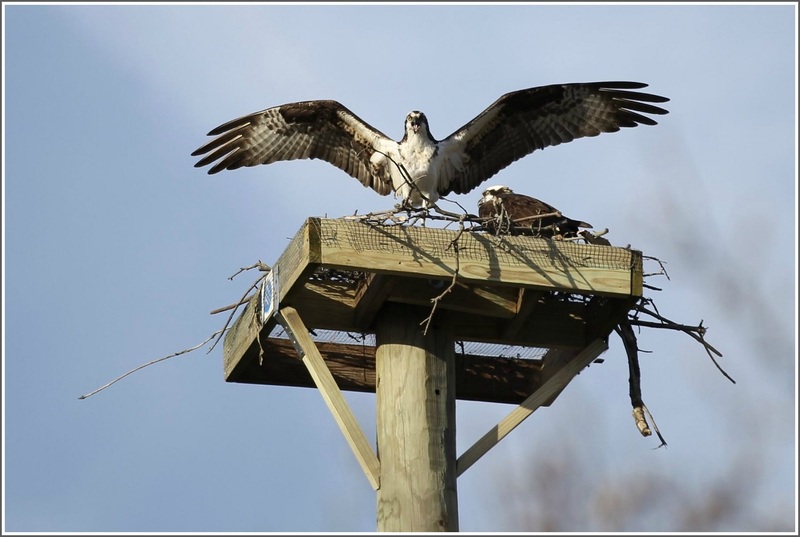 On Tuesday evening from 6 to 8 Terrain will be hosting, among other authorities, Osprey Nation. That is what this organization does. Osprey Nation also recruits volunteers for this. Come and share your idea with Charlie Stebbins! And thank you for your ideas! Great Idea….great minds think along the same channels and there are a plethora of great minds and people in Westport!! This is in the works….Working on a ‘NAMING OF THE OSPREYS’ CONTEST, a ‘ANNUAL WELCOME BACK OSPREY DAY’ at Westport, and several other activities… and YES….REGENCY is behind all of this. STAY TUNED FOR FUTURE UPDATES…. So fabulous, we were absolutely planning on being there on Tuesday night. Can’t wait to hear about it all!